Once upon a time there was a little girl named Joanna. She was six years old. She liked to play with dolls and go swimming, and she especially liked the waterslide. Joanna had lovely brown eyes and wore beautiful dresses. Joanna had a mom and dad and one sister and four brothers. She also had grandmas and grandpas and aunts and uncles and cousins, and she loved them all very much. She liked being part of her family. Her mom and dad said she was a good worker, because she was good at cleaning things and taking care of messes without being asked. One job that Joanna especially liked was to take care of her little brothers. Sometimes when they were hungry she would make them peanut butter sandwiches or give them a piece of apple, and when they were fussy and ready for bed, Joanna would sing them songs or tell them exciting stories. Joanna’s other favorite thing in the whole wide world was mangos. Whenever her mother got a mango from the store, Joanna could hardly wait to eat it. So when Joanna’s brother came home from the store with Dad one day and said that they’d bought a mango, Joanna was very excited. “Can I have a piece?” asked Joanna. So they all sat down and ate a very good meal of watermelon, pickles, fried chicken, and rice. It tasted so yummy that they forgot all about the mango and ate until their tummies were very full. When dinner was over, Joanna and her sister helped to clear off the table, because that was their job. As Joanna carried the last plate to the sink, she remembered the mango. “Mom, we forgot the mango for dessert!” said Joanna. “You’re right. But now I’m too full to eat anything else,” said Joanna’s mom. “Me, too!” said Joanna’s sister. “Me, too!” said all of Joanna’s brothers. “Me, too!” said Joanna’s dad. “Not me,” said Joanna. Her belly was sticking out like a great big basketball, and she couldn’t imagine where she would find room to eat a mango, but she didn’t want to wait until tomorrow to have her piece. “Eat it later, when you’re not so full,” said her dad. “All right,” said her mom, “but I don’t think it’s a good idea.” She got a knife from the drawer and carefully cut a large, juicy piece of mango for Joanna. Joanna took a great big bite and felt juice dribble down her chin. She chewed and swallowed and smiled a great big smile. “Mmm, that’s good!” she said. Then she went outside to ride her bike. But in a minute, she noticed that her tummy was hurting. She tried to ride faster so she wouldn’t notice. She tried to ride in circles so she wouldn’t notice. She tried to ride up and down the bumpy sidewalk so she wouldn’t notice. But her tummy was hurting worse and worse. Finally she got off her bike and walked toward the front door to tell her mom that she felt sick. But before she could get there, she threw up. Then she started crying, and her mom and dad had to help her into bed. “Why am I sick?” she asked her mom. Joanna went to bed feeling very sad that she had thrown up her mango, and wishing that she could make her stomach stop hurting. In the morning, Joanna was feeling much better, so she got up and had a nice, hot bowl of maple and brown sugar oatmeal. She was careful not to eat too much. When she was done, Joanna’s sister came in. “Guess what?” she said to Joanna. Her sister brought her the piece of pie on a plate. Joanna looked at it for a long time. “What’s the matter? Don’t you like the pie?” her sister asked. 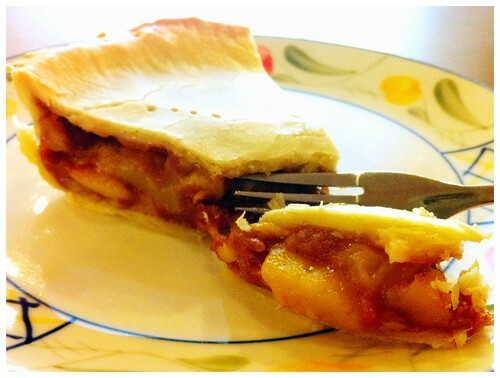 This entry was posted in Stories and tagged appetite, childhood, delayed gratification, mango, pie, self-discipline. Bookmark the permalink.